NBC 5 and Kroger Food Stores are asking our community to help with the relief effort for the damage caused by Hurricane Sandy. 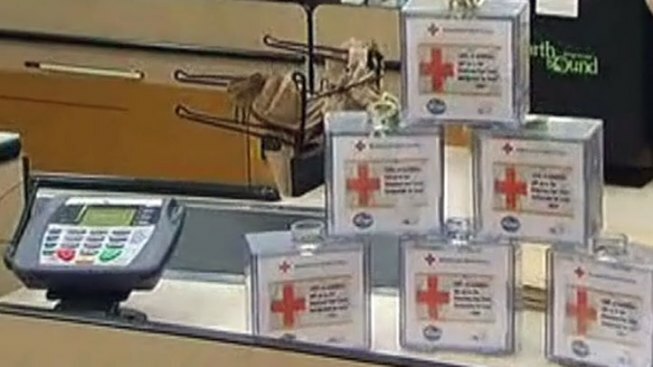 Stop by your neighborhood Kroger and make a monetary donation to the American Red Cross at Kroger's check stands. 100-percent of the check stand donations will be donated to American Red Cross Disaster Relief. The American Red Cross is working around the clock to help those in need by providing food, shelter and emotional support for the people whose lives have been disrupted. For more information on the relief efforts, visit REDCROSS.ORG or CALL 1-800-RED-CROSS to find out how you can help.